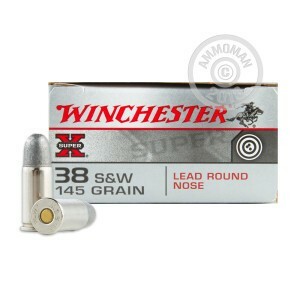 Put your .38 S&W revolver back in action on the range with this ammunition from Winchester! 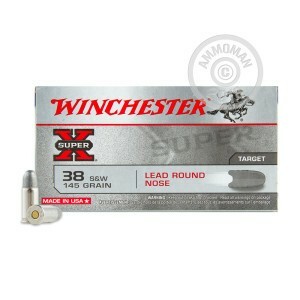 These cartridges are an economical target load that produces mild recoil and great short-range accuracy. 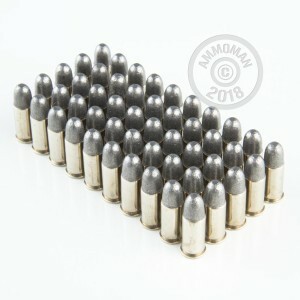 Each cartridge in this 50-round box fires a 145 grain lead round nose bullet at a muzzle velocity of 685 feet per second. Note that unjacketed ammo may not be permitted at all ranges, especially indoor ones. 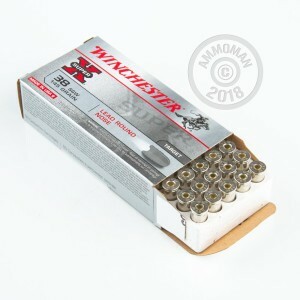 Winchester ammo is proudly made in the USA using non-corrosive Boxer primers. 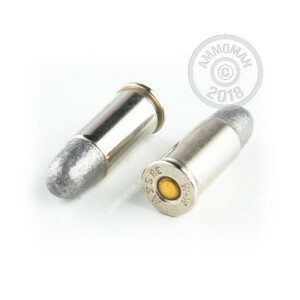 This particular load uses nickel-plated brass cases which insert into and eject smoothly from a cylinder. 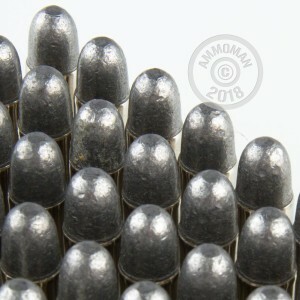 Remember to check out the rest of AmmoMan.com's selection and place an order over $99 to qualify for free shipping!